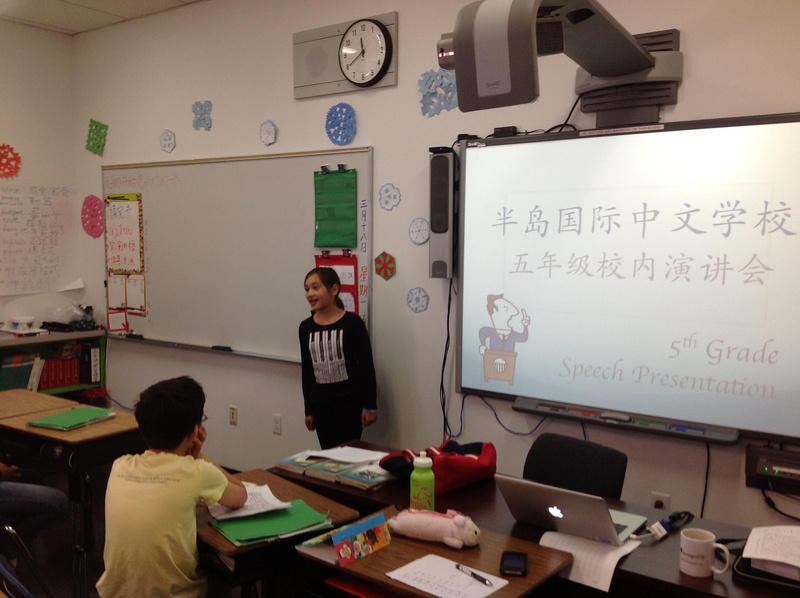 Mandarin Speech Presentations – Congratulations to our Talented Speakers! For the past few months, our Chinese Program students have been hard at work preparing for the 38th Annual Chinese Language Teachers of California Mandarin Speech Contest. 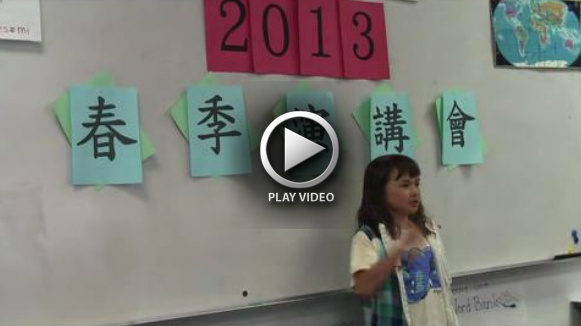 Chinese students from all over the state compete in this prestigious contest. Each year, 5 students from each ISTP Chinese Program class are chosen to take part in the contest. But the contest is only an extension of what is happening in the classroom. Public speaking is a part of the curriculum, and each year students participate in speech presentations at every grade level. Every student in grades one through eight writes his or her own speech and recites it in front of parents and teachers. No matter the topic, students are encouraged to challenge themselves. Because students are encouraged to write their speeches at an advanced level, they collaborate very closely with their teachers. First, a class will brainstorm ideas for their speeches as a group. Next, students write their speeches individually. Then, teachers help students refine their writing. After students have a final written draft, they begin to memorize and practice reciting their speech. Finally, students recite their speeches to class parents at a public presentation. The presentation provides an amazing opportunity for students to work on their public speaking skills. The speech presentation project also helps students improve their writing, organizational skills, and pronunciation. The parents who attended our class presentations have all expressed great admiration for students’ hard work and skill. Congratulations to all our students for their hard work, and good luck to those competing on April 27! View a video of the 4th Grade Presentations!